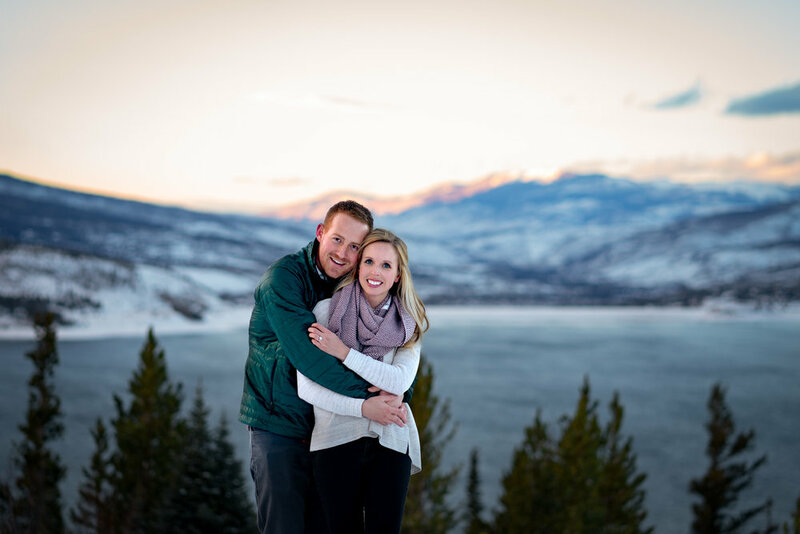 Passing through Silverthorne on our way to Boreas Pass to meet Melissa and Bubba for their engagement session, we were getting a little nervous. The clouds had rolled in, the snow was falling and we couldn’t see more than a couple hundred yards in front of us. 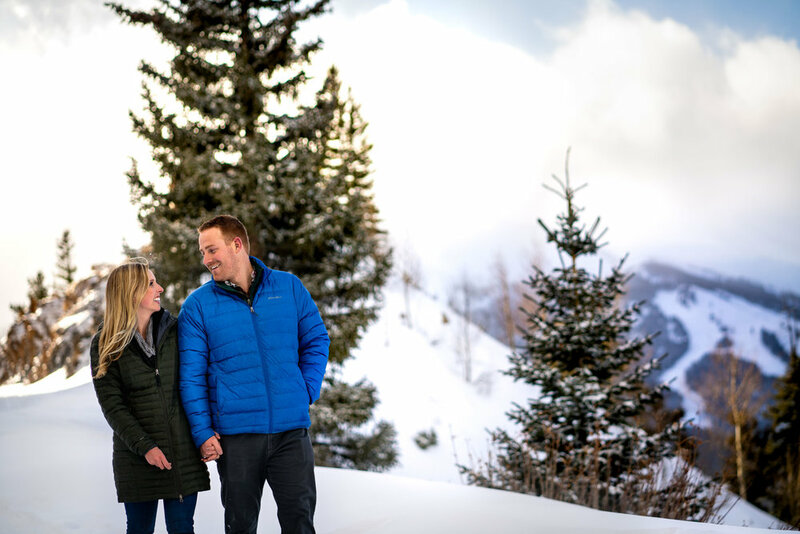 Don’t get us wrong, we love to creatively problem solve as much as the next photographer, but getting that gorgeous mountain backdrop in the photos is much easier to do when you can actually see them! No less than an hour later and a quick climb in elevation, it was all blue skies and puffy white clouds. 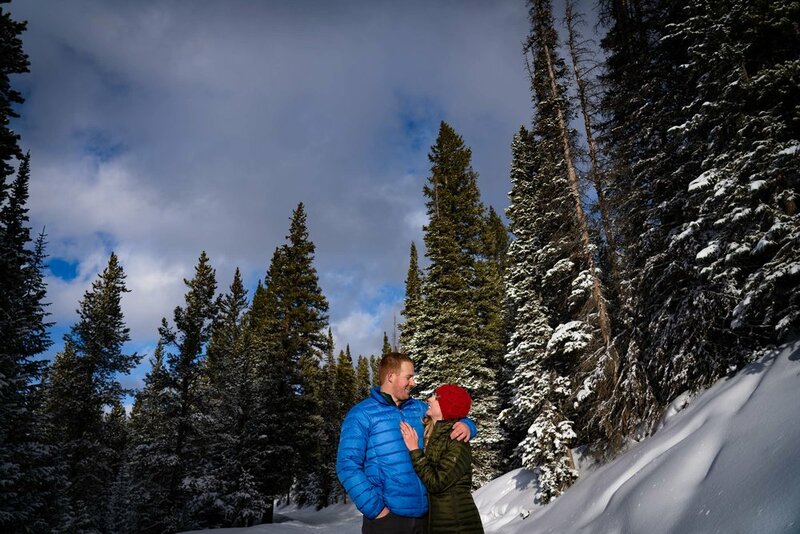 It turned out to be the perfect setting for this wonderful couple who traveled from Oklahoma to explore the snow covered trails above Breckenridge, trekking through the fresh snow with their wonderful pups Beau and Ryder. Boreas Pass definitely delivered as we left the tree-lined trail for the windswept Rocky Point, with views stretching for miles over Breckenridge and the Tenmile Range of the Rocky Mountains. 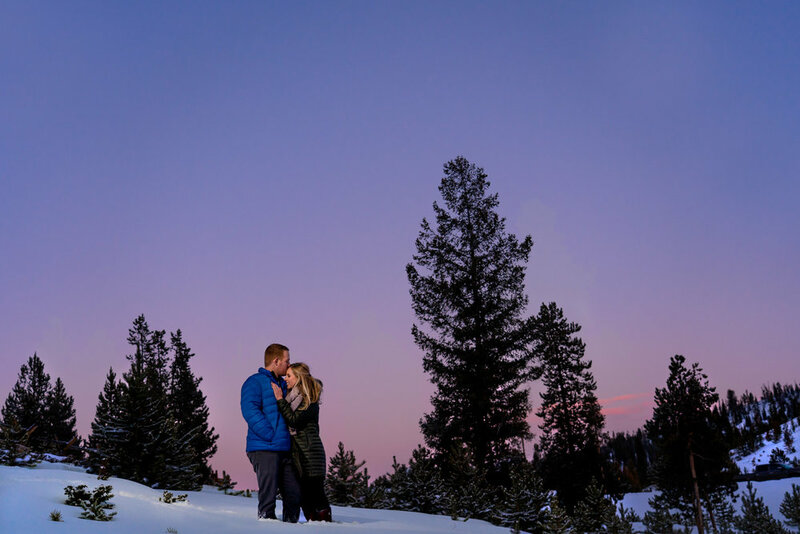 Melissa and Bubba hiked up a back trail with us to a great spot off the beaten path where they were able to share a quick break from tangled leashes and excited pooches with a moment in the winter sun. Following Boreas Pass, we headed down to Sapphire Point for sunset. Running up and down the trails trying to catch all the last rays of light, I think each of us fell at least once as we slid on the packed snow and ice. But, who wouldn’t trade a spill for a few extra images of mountainous glory. Thanks for running around with us Melissa and Bubba, we enjoyed spending this wonderful winter day with you!